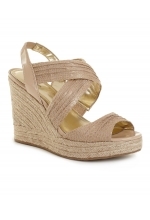 Stand up and out in the crowd with the Steve Madden Tampaa platform wedge sandal. The strappy faux leather upper lends supple appeal to this stylish women's platform sandal. Padding in the footbed brings comfort to your day, as the adjustable strap lets you customize the fit. 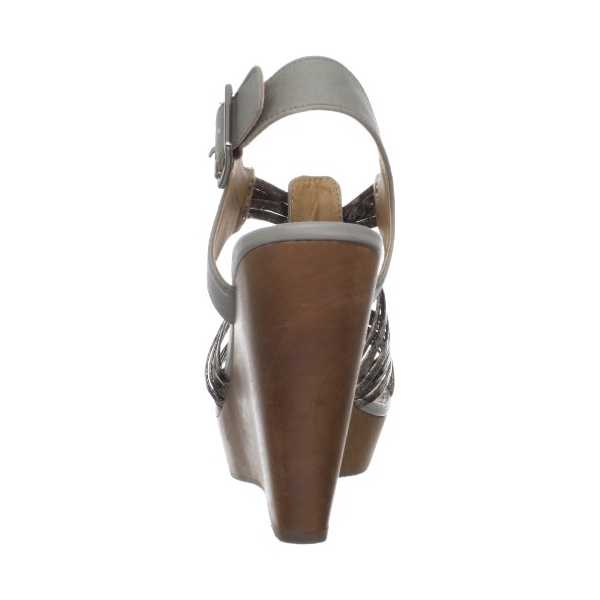 The Steve Madden Tampaa platform sandal has a durable synthetic sole for stability and traction.